A pool vacuum cleaner will keep your pool looking sparkling clean and inviting all season long. With the many different types of vacuums available on the market you really have lots of choices. If you are looking for complete automation there are great robotic cleaners that will clean your pool during downtime so it's nice and clean when you use it the next time. There are also many great automated cleaners that operate either from the suction or pressure side of your pool system. They add an element of convenience because they operate on the same timing system as the rest of your pool hardware. 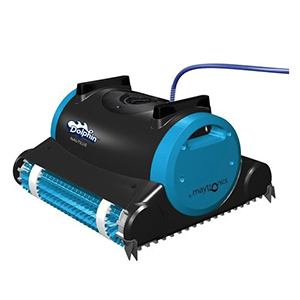 A battery powered handheld cleaner is a great supplement to automated cleaners and can be used as the primary source of cleaning for smaller pools or spas. The first thing people notice when they see a pool is how clean it is and an automated pool cleaner will achieve this cleanliness in about two to three hours. While you spend time with your family or doing something other than cleaning, your cleaner will get to every inch of your pool. Many units are so efficient that they even filter down to 5 microns which is more efficient than some diatomaceous earth filters, the highest quality filtration available for residential swimming pools. 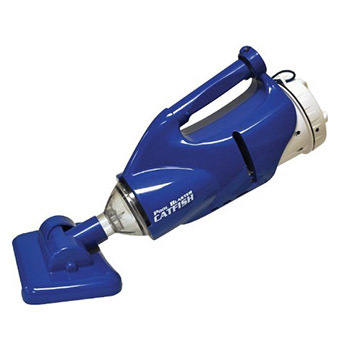 Technology has advanced in leaps and bounds in the pool vacuum cleaner industry, today’s models are more efficient, more reliable and last longer than ever before. An automated pool vacuum will make your pool maintenance so much easier and allow you more time to enjoy your pool. 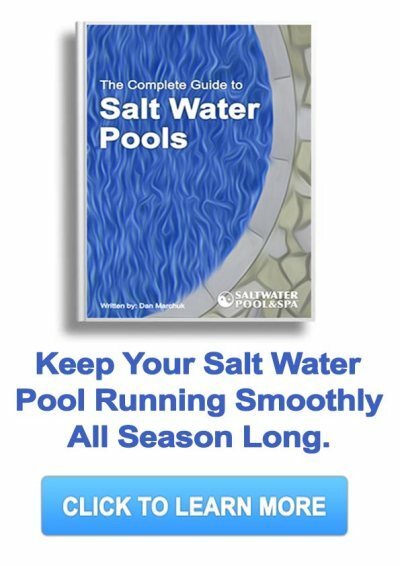 There are several options available when considering how to keep your pool spotless so be sure to follow the links to learn more about the amazing options as well as our recommended picks for salt water pool owners. There are four main types of pool vacuums that operate on different types of power. 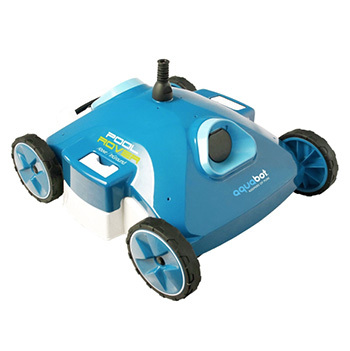 A robot pool cleaner operates on electricity and is completely separate from the pool system. Suction pool cleaners use the suction created by the filter pump and pressure pool cleaners use the forced water pressure from the filter pump. A battery powered cleaner uses battery power and are often rechargeable. Each type of cleaner has its advantages it’s worth taking the time to find what works with your existing pool. Operated by simply attaching to the existing line of your salt water pool system - suction pool cleaners work using the suction produced by your pool water pump. The intake line acts as a central vacuum system works in your home. When the pump is operating you can be sure that your pool vacuum cleaner will be working as well. Use the water pressure from your existing pool water pump to power a pressure pool cleaner. Also called a pressure side cleaner - they are designed to work using forced water pressure. The cleaner can be attached to your existing plumbing system or it can be run off of a dedicated line. A separate booster pump is needed if you are using a separate line. A fully automated, self-contained robot pool cleaner that runs on electrical power is the future in pool cleaning. It works independent of your existing pool system so it won't burden it in any way. They can be operated by a remote control or set to work in a pre-determined pattern that won't miss any corner of your pool. 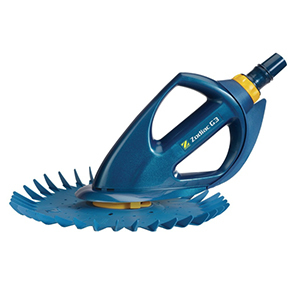 A battery powered pool cleaner is the ultimate in convenience when it comes to keeping your pool or spa spotless. 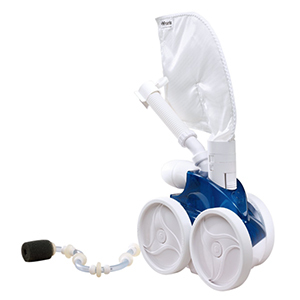 Let your automatic pool cleaner do the dirty work and when you need to to some minor cleaning or get in those hard to reach areas - a battery powered cleaner is perfect. If you are in the market for a pool vacuum cleaner you are faced with many choices. We hope that this helps you make an informed decision and you can enjoy your crystal clear pool.